Be bold: The pool & thermal suite are usually the signature spaces in a spa and call for dramatic lighting and unique features, such as the raised infinity pool we created at Dormy House Hotel & Spa in the Cotswolds. Pay special attention to the end walls of the pool hall: This is the part people swim towards and we often make it a reflective extension of the pool itself, featuring back-lit glass. This is what we did at Third Space health club at Tower Bridge, London and it gives the feeling of elongating the pool. Allow for ample relaxation space around the pool and in the thermal suite, broken down into zones. This is a key element of the spa experience. Don’t overload a pool with features and be aware that swan neck water jets should be located away from the relaxation areas as they generate a lot of noise and spray. 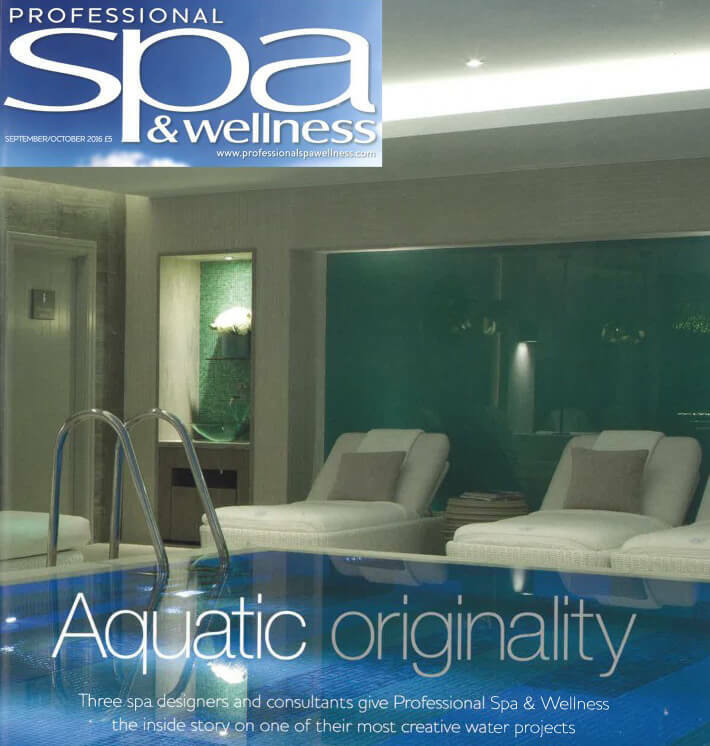 Wherever possible, we try to incorporate a hot pool within a spa garden, like at Rockcliffe Hall in the UK. There is nothing better that a glass of champagne in the pool on a hot day or a hot chocolate on a cold one.